A new morning service for the Marble Arch Street Team commences on 1 March 2017. In response to business requests, we are extending the hours of the Marble Arch Street Team, to include a morning shift from 8am. 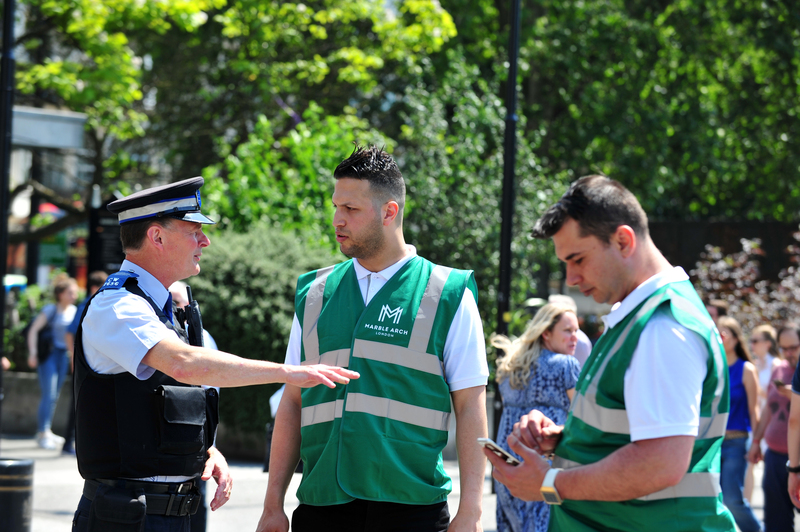 The Street Team was introduced by Marble Arch BID in August 2016, and they had already attended over 2,700 separate incidents by the end of January 2017, clocking up 5,000 hours of patrolling. Over 1,000 individual beggars have been reported and/or moved on, and the team’s support to retailers has already led to nine arrests of shop-lifters. On top of this, over 160 pedicabs have been reported or moved and 149 incidents of dumped rubbish dealt with and resolved. In the summer (May to September) the team will be on duty from 8am right through to midnight, Tuesday to Saturday. 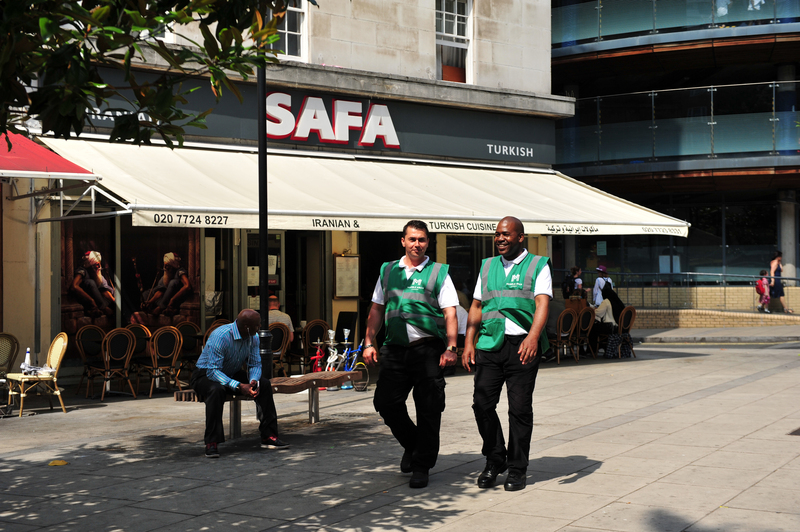 The team of four patrol Edgware Road and side streets, plus the area around Marble Arch. They respond to business requests for assistance, help visitors and deter organised begging and illegal street trading. They also report environmental and highway problems, ensuring the area is safe for people who work, do business, visit and live here. 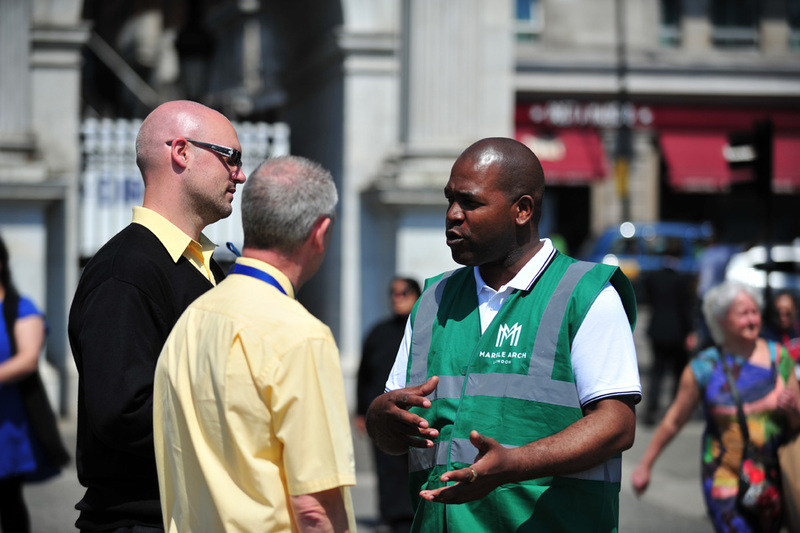 The Street Team is intelligence led; working with building and security managers, Westminster City Council and the Metropolitan Police to problem solve. To contact the Street Team please call 07825 750777. Remember, in an emergency, when soemone is in danger or a crime is in progress, please dial 999. To report a non-urgent crime or concern call 101.